The model aircraft flying club in central Scotland near Cobbinshaw, Tarbrax and Auchengray, just south of Livingston, West Lothian was set up in December 1998. The objectives were to provide good facilities, good training, good communications, and to provide the opportunity for people to get started. 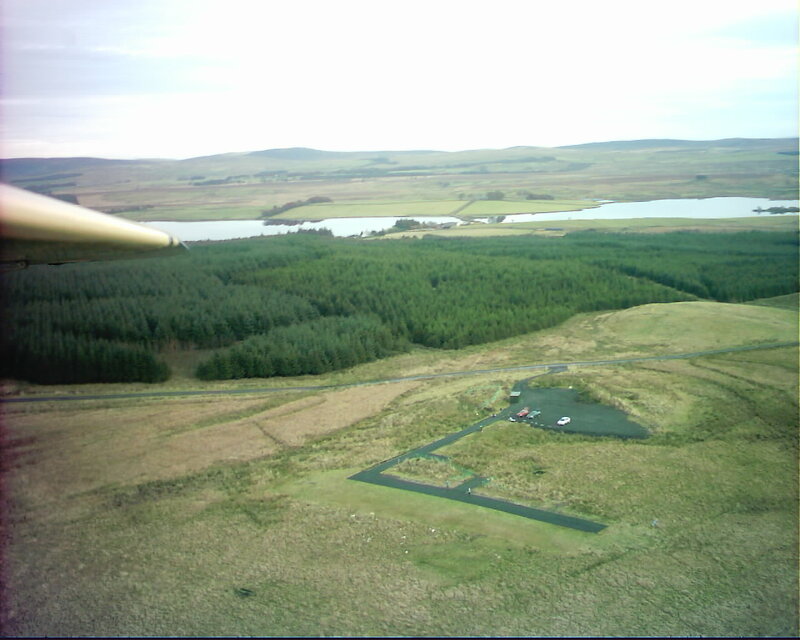 We have turned the site from a basic peat bog into the excellent site you see today. We continue to attract both highly skilled flyers as well as that important commodity: beginners. Please feel free to come along for a day's flying and check us out when you will be very welcome. If you are a beginner and want a taster session please contact us first so we can arrange for a model to be available. If you are a jet pilot please see here for our latest information on turbine models. Drones are permitted at our club as long as the pilot is qualified and has the relevant insurance for recreational use. Our Club is for recreational purposes only, and as such we cannot accept persons who are intent on using our training and recreational set up to assist them in achieving any personal gain. All drone flyers have to comply with club rules, SAA rules and any rules by the CAA. Fliers will appreciate the 66m x 6m tarmac runway, 86m x 12m grass runway, the 20m x 3m tarmac pits area, 50m x 3m tarmac access path, starter box and pilots stance, together with the off-road hard standing car park for 40 cars. Great runways, great view, great people = a great day out. Alternatively, come and take part in one of our free "Fly before you Buy" days and see how you can get started. Check out our "Beginners" page to get an overview of the hobby in general. If you already have a model, don't despair! get in touch for a free pre-flight inspection to avoid dissapointment at the flying site. If you are returning to the hobby, we are more than happy to bring you up to date and arrange a couple of flight using our buddy boxes..
WE ARE approx. 3 miles to the South of West Calder (SEE MAP) and 3/4 mile north of Woolfords Cottages. THE CLUB welcomes applications from both new fliers and from existing fliers. FLYING TIMES are approximately 10:00 am until dusk, 7 days a week.